Our busy little black and yellow friends are vital to our well-being, as they pollinate the plants that we grow for food, but, our Honey bees are in crisis. Their population is dwindling at an alarming rate, under attack from viruses, pesticides and mites. You can help start a new bee colony, by buying a year long, 1/12 share in a hive for only £29.99. In return you’ll receive a special shareholder certificate, some wild flower seeds to attract more bees to your garden and 1lb of yummy honey made especially for you, by your bees as a thank you. 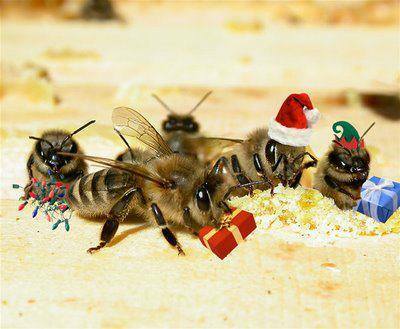 Adopt-a-hive makes the perfect gift for nature lovers, keen gardeners and honey lovers everywhere. As well as being a unique present you’ll be helping to pollinate the planet and ensuring the future, not only of our little busy buddies, but also all the essential fruits and vegetables we currently enjoy. Environmental changes such as the extensive use of pesticides, specifically insecticides, in farming. The loss of the flower-rich habitat on which bees depend for food. Natural habitats such as hedgerows, hay meadows and chalk grassland have all depleted over the past 70 years as a result of the intensification of agricultural systems. Disease is another serious concern. Varroa is an external parasitic mite that attacks bees and spreads viruses to the bee. A serious mite infestation will lead to the death of an entire bee colony. Changing climate. Recent wet summers have prevented bees from doing what they do best, searching out pollen. Our apiaries are situated in various locations, within a mile of the picturesque River Ribble, in the South Ribble area of Preston. This gives our bees the opportunity to feed from the wealth of wild flowers growing along side the river, and everything that grows in the local farmers fields. By situating some of our hives in local authority allotments, our bees help local growers, by pollinating all their produce for the year. Our hives based in our local woodland, benefit from woodland flowers, and also help the local farmers by pollinating their crops.